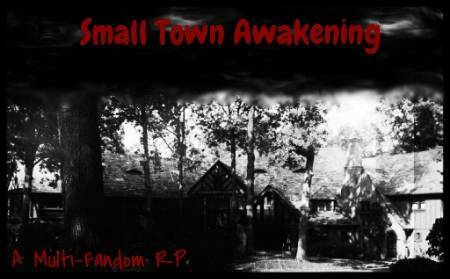 For the small towns of Mystic Falls, Bon Temps, and Beacon Hills things seem to be settling down a little at long last. But these small towns are about to get a rude awakening when surprising revelations come to light. In Mystic Falls, the family of Original Werewolves is finally making an appearance and to complicate things further the veil is still down. After being released from the hospital Sam Winchester found himself in the middle of a brewing war between vampires and humans in Bon Temps. Beacon Hills, still recovering from the devastation of the kanima, is suddenly threatened by the arrival of not only the Alpha Pack, but also a coven of banshees. In the midst of all this, Jillian Mastrano has been sent away from the Moroi Royal Court after an attempt on her life. She, along with Sydney Sage, Keith Darnell, Eddie Castile, and Angeline Dawes, have settled in the small town of Mystic Falls, Virginia in the hopes that they can keep their heads down. We are set directly after Season Four of The Vampire Diaries, Season Two of Teen Wolf, Season Eight of Supernatural, Season Five of True Blood, Season One of The Secret Circle, and Last Sacrifice for Vampire Academy.